Following a number of top honours in 2008, Seattle's much-loved Fleet Foxes have claimed the Best Art Vinyl Award for their self-titled album's cover art. The Fleet Foxes' jacket beat out 50 other album covers that made the longlist for the annual prize, which was organized by the UK-based album-art appreciation society Art Vinyl and drew 3,000 online votes. Coming in second was Roots Manuva's Slime and Reason, while Coldplay's Viva la Vida or Death and All His Friends took the third spot. 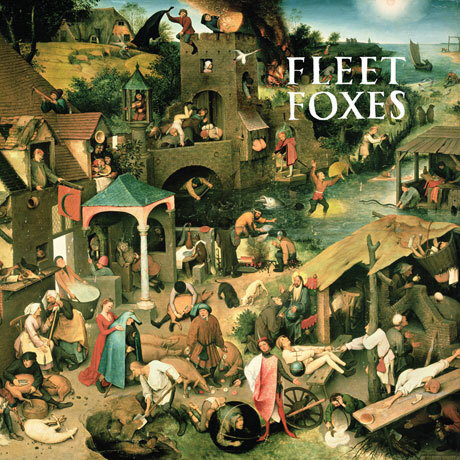 Fleet Foxes's winning cover features a segment of the 1559 painting Netherlandish Proverbs by Pieter Bruegel the Elder, whose work depicts the Dutch proverbs of the day. In rock'n'roll past, Bruegel's painting The Triumph of Death was used in 1977 by Black Sabbath for a greatest hits album. In previous years, artists such as Thom Yorke and the Cribs have taken home the Best Art Vinyl Award, and 2008's top selections will be on display at the London Rough Trade East store throughout January.